A super colossal destination in Southeast Asia where you can get the best of both worlds. If you are in quest of crystal blue beaches, lush green jungle, mouthwatering food,beach front bungalows for your perfect vacations and spending time in best luxury hotels in the world Thailand has all to offer. The place is crowd pleasing despite the superabundance of tourism.Thailand has charm of its own which still retains its own unique culture and history along with spreading smiles for people coming from all across the world. If you want to get the sight of Thailand&apos;s history and culture best place to visit is around the Central Plains where capital, city Bangkok, is located. There is lot to see in Bangkok. One of the most alluring places are Grand Palace wich is rich in cultural, and architectural radiance. Some other places to see in Bangkok are Alcazar Show, Wat Pho Sukhumvit Soi 38,Bangkok&apos;s best street food spot, and dazzling performances by artists in glittering evening gowns. Arrival at Bangkok and Transfer to Pattaya. 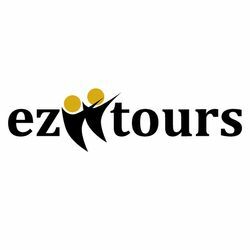 After arrival on Bangkok Airport get warm welcome from EziiTours Representative. We will proceed for 2.5 hour drive to the picturesque Pattaya. After reaching Pattaya Check into the hotel and take rest Enjoy Alcazar Show in the evening. After breakfast, you will be taken to coral island to enjoy the most beautiful beaches of pattaya. Spend the day luxuriating under the warm tropical sun. Relax, swim, snorkel or just lie around sunning on the island&apos;s immaculate golden beaches. After breakfast, Checkout from hotel and move towards the bangkok where you will be taken for city tour of bangkok which will cover temples of bangkok and market. After breakfast at hotel, Day free for leisure. You can also enjoy the optional tour of Safari world with marine park. Safari World and Marine Park is Thailand&apos;s popular open zoo and leisure park.